Most of what is real is hidden. Beneath the surface is a whole other world. A world seldom addressed. But ever so real and deep. Through worship and the Word, life stories and the Life Giver, let the current of His deep love and grace wash over your soul, ease your burdens, soothe your ache, reawaken your passion, and sweep you off your feet…maybe for the first time. Drawing from Jesus’ encounter with the woman at the well, we’ll look at the freedom that comes from loving exposure – when Jesus looks straight into our souls and we discover that He not only sees us, but unconditionally loves us. There is a Life-giving current that is drawing us into the heart of God. He knows just what we need, more than we know ourselves, and, like He did 2000 years ago for the woman with the severe bleeding disorder, He is moving heaven and earth to meet our desperate need with the reality of His love and healing. Like Mary, at the death of her beloved brother Lazarus, sometimes the questions and painful loss is so deep, all we can do is weep. But we will discover, as did she, that not only does Jesus give space for our broken hearts, He actually sits with us in the dust and weeps with us. Partnering with talented artists is one of our favorite things. 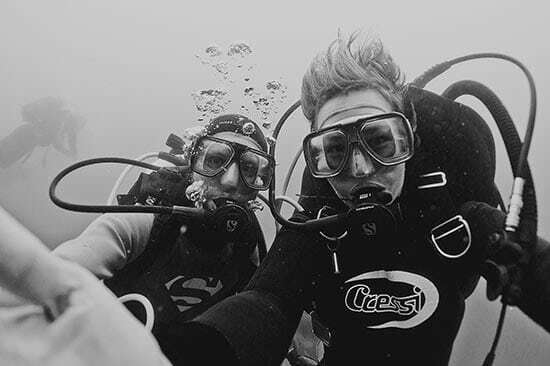 When we saw Ilse Moore’s breathtaking underwater photography we knew we wanted to partner with her to brand C4W – Deep Calls to Deep. We’re really excited to feature this photo from Ilse on all the Deep Calls to Deep branding. 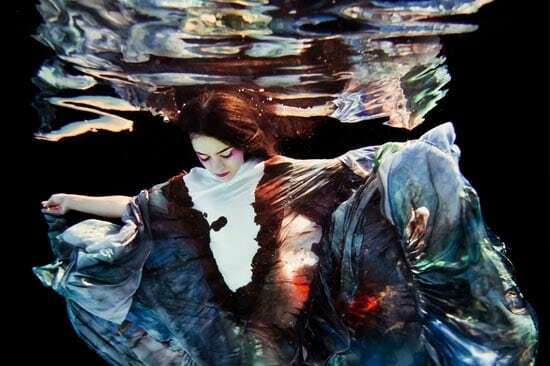 Ilse Moore is renowned in South Africa as an underwater fashion, portrait and fine art photographer. Her underwater work has been featured in several Arts and Culture, Lifestyle and Fine Art magazines as well as numerous fashion and culture blogs around the world. She was a guest photographer on the first season of Africa’s Next Top Model as well as been awarded several peer awards for her underwater work. Together with her husband they also run a successful wedding photography business, GingerAle Photography. Visit her website at ilsemoore.com or find her on Facebook and Twitter.